* Begin by deciding what you want the consultant to help you with, i.e. creating an internet marketing plan, increasing traffic, a website review, web copywriting review, an SEO audit and feedback, improving social media engagement, improving conversion rates, generating more enquiries / sales (or all of these). * Does their website give you confidence? Is it well designed, does it look professional and is it easy to navigate? * Do they display testimonials within their website? * Does the consultant also teach? Where have they taught internet marketing? * Does the consultant understand web copywriting? * Can they demonstrate a thorough understanding of SEO? * Do they have professional marketing qualifications, for example a marketing degree? * Has the consultant built any websites? How successful are these sites? * How many clients has the consultant worked for? * How quickly do they respond to your enquiry? Choose three or four consultants and talk to them on the phone. Ask them to give you some initial feedback on your website. Request a written quotation for their services by email. 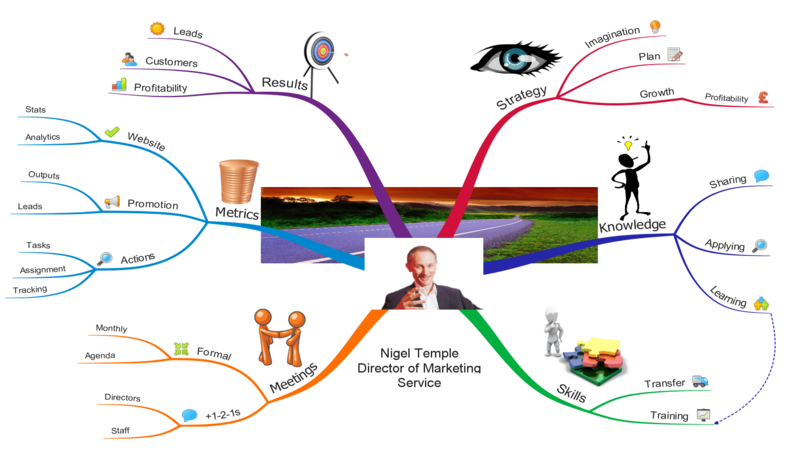 Read about Nigel’s digital marketing consultant services. 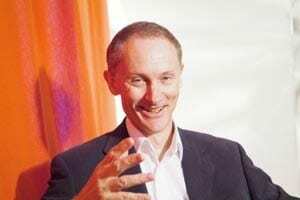 Nigel Temple is an internet marketing consultant, author, speaker and trainer. He shows business owners, professionals and teams how to get better results from 21st century marketing – including online brand awareness, improved search engine rankings, social media effectiveness, website traffic and sales enquiries / sales. Nigel has taught internet marketing since 2000. He served as a Faculty Member and Course Director at CIM (the Chartered Institute of Marketing) for 12 years. He led over 500 Business Link workshops, focusing on website effectiveness, SEO and social media. Today, he delivers internet marketing events for The Marketing Compass which provides impartial marketing advice for business owners. He has worked in dozens of countries around the world including the USA, Dubai and Japan. To find out more about Nigel’s services email joanna@nigeltemple.com or call Joanna on +44 (0)1628 773128. He welcomes media enquiries about 21st century marketing, social media and digital marketing. He has appeared within the national press and broadcast media. Here is an online SEO course. I have noticed that the word ‘confidence’ has come up in numerous conversations recently. For example, during one of my marketing workshops, a delegate told me that they wanted to be confident when it comes to using software, communicating with their marketplace and updating colleagues. Where does confidence come from? The simple answer is ‘knowledge’. The challenge is the exponential rise in complexity of marketing arising from the digital age. In the last century, part of my training involved visiting the firm of printers that the marketing agency I was working for used regularly. I spent a day talking to professional printers who had spent years learning their craft. I did not want to become a printer, I wanted to gain a conceptual understanding of the process so that I could liaise between the client and the printer. Today, many enterprises do most of their marketing themselves. They probably outsource the development of their website and some other tasks. However, once it is up and running, adding new content to their website such as images and routine tasks such as blogging are usually down to them. This means that they have to become adept at using a CMS (Content Management System) such as WordPress and image manipulation software such as Adobe Photoshop. What is more, they have to become professional copywriters and get to grips with syntax, idiom, punctuation, grammar and the intricacies of webcopy layout and flow. This is before we contemplate the art and science of SEO. No wonder that, at times, the person or persons responsible for marketing communications can feel a little daunted. The challenge does not exist in a vacuum. Our lives have become more complex in general terms. A digitised life and economy means that many people are constantly connected to the internet. Software applications, platforms, communities and tools keep changing, don’t they? New ones arrive on a daily basis. The Apple iPhone was launched in 2007 and smartphone and tablet usage has skyrocketed in recent years. As I travel into London, for example, it is normal for everyone around me to be glued to a screen of some type. According to Wikipedia, amongst a UK population of 65,511,000 some 68.6% or 44,953,000 people now have a smartphone. Here is a Wikipedia list of smartphone penetration by country. Apparently, half the UK population now spends half an hour a day on Facebook. The stats roll on and on. So what are the options for the hard pressed, busy marketer / business owner? They can attend workshops, read books, listen to podcasts and read marketing blogs. Alternatively, they can join a community such as The Marketing Compass or hire a marketing coach or marketing consultant if they would prefer 1-2-1 feedback. Above all, no matter what is happening in our lives, we must keep learning. Sometimes, it can be hard to remain positive, enthusiastic and motivated towards your future business success, can’t it? There are times when sales are down, your energy levels are low and the world seems to be conspiring against you. During the 30 years that I have been running my own business, I have seen many ups and downs. Booms and busts, low and high interest rates, dramatic changes in technology, people joining and leaving my team and rising and falling customer confidence. I am continually learning about people, business and technology – by reading books and articles, attending seminars and engaging with online learning. I show up and do my best, no matter how I am feeling. I probably fail more than most people. On the other hand, I am continually trying new ideas and approaches and experimenting with products, services and marketing techniques. In business, the answer always lies with the customer and their reaction. I do my best to be supportive of people who are currently having a hard time. I have been there and I know that it won’t last. I keep fit as I have found that, when you are responsible for a business, you need a sound mind in a sound body. Keeping fit helps me to improve how I feel about life in general. I also laugh a lot – especially at my own mistakes. Above all, through three decades, I have kept working, regardless of what the media or current opinion says. When success arrives I celebrate. However, I return to the tasks at hand as swiftly as possible, as action is where the next success lies. Finally, I have adopted creativity as a way of life. In times of constant change, the future belongs to those who can adapt. Is the writer happy to invest time in understanding you and your business? Do they understand marketing and specifically, digital marketing? When you contact them, do they listen or talk? If they talk a lot, they’re not learning about you, are they? Do they have a wide vocabularly? This is important as they will need to find ‘just the right words’ to describe your business. Does their website contain a lot of words? Sparse copy within a copywriters’ website is a warning signal. Do they blog? Regular blogging is a sign of someone who loves to write. Is their writing easy to read? Does it give you a good feeling, as you read it? Are they keeping up to date with internet marketing and changes in technology? Do they have a sales background? This will come in handy when they are selling your products / services. Do they offer unlimited editing, within each project? Do they react quickly when you contact them? Are they comfortable talking to business owners / senior management? Can they get started as soon as you are ready? Do they have a significant following within the social media? When you are selling professional services, there is no point in pushing too hard. Don’t think in terms of ‘sales leads’. Instead, think in terms of ‘conversations’. I enjoy have relaxed conversations with professionals, business owners and subject experts. It is interesting to ask open questions about their business and to get them talking. Every day, conversations come to me in the form of marketing questions. They arrive in my email in-box, via The Marketing Compass or by telephone. I share my knowledge as much as I can via blogs (i.e. this one), e-books and marketing talks. Readers and members of the audience ask me questions. If I can answer them on the spot, I will do so. Sometimes, I realise that I am talking to a potential new client or NavigatorPlus member of the The Marketing Compass. If the challenge requires additional time, I have a variety of productised services that cater for different budgets and requirements. This is because I work with startups, self employed professionals, small businesses, established enterprises and corporates – so one size does not fit all. (If you don’t already have productised services – ask me how to do this). If you love to learn and you enjoyed talking to people, then this is the life for you. Asking questions, having interesting conversations and answering questions is the way forward. It certainly beats knocking on doors and cold calling. Is professional selling dead in the water? * Look for a professional public speaker who has done this many times before. * They should either pick up the phone when you call, or get back to you within the hour. * Find someone who understands your objectives. * Look for someone with a sense of humour; you are not booking a stand up comedian, however, audiences connect with speakers who can make them smile. * During your first conversation, they should listen to you without interrupting. * Do they understand traditional as well as digital marketing? * Having listened to you and understood your requirements – are they asking you lots of questions about the event, the audience and what you want them to deliver? * A few decades of hands on marketing experience would be helpful – both from agency and consulting perspectives. * Can they provide tailored handouts for your event? * Find a speaker who will put the effort into the preparation process. * Find someone who will turn up early at the venue. * What sort of follow up services can they offer? For example, are they willing to answer questions via Twitter or do they have an interactive website where questions can be answered? * Search for their name on Google – what do you find? 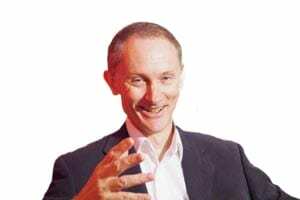 Nigel Temple is a professional marketing speaker and trainer. He is in demand for marketing talks and presentations. You can book him via Specialist Speakers or email joanna@nigeltemple.com or call her on +44(0)1628 773128. I am often asked: “What does a marketing consultant do?” The answer is that they provide strategic advice and guidance. When it comes to marketing, as in so many other areas in life, there are many opinions. A marketing consultant should be able to provide you with impartial advice, as they are not a marketing communications (‘marcomms’) agency. In other words, they don’t employ staff who build websites, design advertising campaigns, or run promotional campaigns. The first step is a written plan. This should not be the size of a telephone directory (who’s going to read it?) Concise plans and clear action points are much better. A key topic is promotion, particularly as we now live in a digital economy. You can talk to your marketing consultant about your website, Search Engine Optimisation, social media, newsletters, videos, and writing for the web. They should have in depth knowledge of the hundreds of digital and traditional promotional techniques that are available to you. Top marketing consultants usually have an academic background, as this is an in-depth, technical subject. A degree in marketing or academic position indicates that they have intellectual depth. However, in the real world, the academic side of things is not enough. Look for a consultant who has worked for a lot of clients. A few dozen is not enough. A few hundred is better. A few thousand is exceptional. The advice can be delivered in conversations and by email. It may also be provided as training, i.e. how to get the best out of your website and social media. Effective marketing advice can help startups, small businesses, medium sized companies and corporates. It can also help schools, colleges, universities and public sector institutions. Measurement will play its part – including the measurement of outputs as well as sales leads / sales. The best marketing consultants love what they do and will have worked with several businesses similar to yours. They can think strategically and – at the same time – have an eagle eye for detail. It helps if they have a sense of humour and the ability to get along with people. They must be able to listen and to answer your questions without referring to external sources. If you are looking for a marketing consultant, ask your contacts or try an online search. Then call three of them and have a conversation. A good consultant will get you talking about your enterprise and your issues. They will not waste your time banging on about their qualifications and experience. I like the Apple 4 that I have owned for several years, however, I have been finding the (3 and a half inch) screen to be a little on the small side. So over Christmas I did some research and found that the reviewers loved the Samsung Galaxy S4. This time around, I had already decided that I would not be going for the latest new fangled gadget so the fact that the S4 is over a year old was no problem. I went to my local phone store early one morning and I was ushered over to a sales person who proved to be very helpful. A benefit by the way of being happy to use slightly older technology, particularly when it comes to mobiles, is that you get a much better price. In this instance, my monthly bill has dropped from £36 to £26. Whatsmore, I now have a 5″ screen and a 16 megapixel camera. I am not quite old enough to have started out with a box brownie camera, but in my childhood you used black and white film that you had to leave at a shop for a week for them to process for you. Having a camera of this quality, which is always to hand, is fantastic. I have already used an image from my S4 for my Twitter profile https://twitter.com/nigeltemple and I did this via the phone (the big screen helped). Everything works better with a bigger screen, including videos, searching the internet and composing texts. Android took a while to get used to, however, I have found my favourite apps as well as several new ones. Another useful feature is the ability to add additional memory. My phone came with 16MB of memory, which is what I had in my Apple; however, unlike the Apple, I can remove the back of the Samsung phone and insert additional memory (I think up to a maximum of 64MB). This will enable me to store my extensive music collection and many more photos and videos (if I wish) on on the phone. Apparently, there is 50GB of free storage available via Dropbox, which is something that I will be looking into. Finally, I can now see how some of the people I follow on Instagram create such amazing pictures: they must have a similar phone to Samsung Galaxy S4. I have decided to write a new business book and to blog about the process. Feedback and encouragement would be welcomed! I was, quite frankly, lucky with regards to my first book. Hodder and Stoughton – the global publishing company – found nigeltemple.com and asked me to write a book. This was Writing Copy for the Web in a Week which was published in 2003. It took me three months to research and write the manuscript. It was a short book: circa 20,000 words + cartoons. Sadly, this particular book is now out of print (it was part of a series which no longer exists). The big issue, from my perspective, was becoming an author. To this day, I tell seminar audiences and clients that ‘author’ has the same Latin root as ‘authority’. So, if you publish a business book, you become an authority on your chosen subject. As soon as you decide to write a book, you feel good. Even in this digital age, authors are respected. No matter what size your business is, writing a book is good news. It can open doors, generate publicity and act as the world’s largest business card. The first step is to decide what to write about. Interestingly, I am often asked how to come up with ideas for a business book (and how to get published – which I will discuss within another blog). Here’s a tip: make a list (or create a Mind Map) of all of your areas of professional knowledge. You know a lot about a great many things, don’t you? Write it all down. Think in terms of your main areas of expertise and associated topics. For example, in my case, I know about marketing strategy. This connects to marketing plans, business models and the promotional mix, amongst other things. Over the coming days, keep adding to your list. I keep my book ideas in the Cloud – so that I can access them from wherever I am, via any device. Your subconscious will work on this list and it will keep coming up with interesting new ideas. Authors will tell you that whilst they are writing book A, ideas for books B and C materialise. Ensure that you keep track of these ideas. Once you have chosen the subject for your book – do some research and see who else has published in this area. You can do this via Amazon, as well as via bookshops. Do your best to come up with something original or at least a topic which hasn’t been done to death within its niche area. I will be following this blog through in part 2. If you are interested in this topic – by all means engage with me about it within The Marketing Compass community. Creative thinking skills give you an unfair advantage in business. If you can create new ideas on demand, you’ll be better equipped to overcome challenges, create new product ideas and sail past the competition. The question is, are you a creative thinker? I have asked several thousand seminar delegates this question (I taught Creative Thinking for Marketers for 12 years at CIM, the Chartered Institute of Marketing). It was always interesting to watch people’s reactions to this question. Sadly, the majority of delegates did not raise their hands. Which is a shame, as every human being is naturally creative. The answer is to be open to the idea of thinking about alternatives, to any given challenge. At this stage, you don’t have to actually come up with new ideas – you just have to be OK with the belief that you can do this. The next stage is to be able to come up with several options, to a given challenge. Two or three options would be OK. A larger number would be better, as the quality of your solutions is directly connected to the number of options you generate. Incidentally, I offer creative thinking training – this can be delivered 1-2-1, to small groups or to audiences of any size.